By cheap we mean “great value”. Anyone can find good food if they don’t mind giving up their right arm. 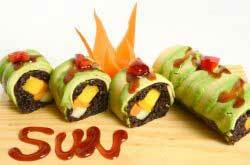 The challenge is finding quality dining at bargain rates. Check these joints out, and you won’t be sorry or broke. 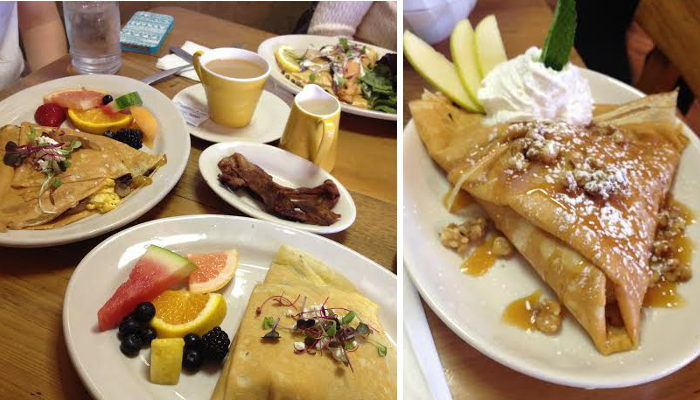 Break’n Egg’s sweet and savory crepes have locals lining up outside the door. Believe me, it’s worth the wait. There is a “build your own crepe” option, complete with delicious toppings. You can select a healthy crepe by ordering the buckwheat crepe (also gluten free) loaded with egg whites, spinach, mushrooms and maybe a sprinkle of cheese. Alternatively, go for the original crepe and add toppings like bacon, Nutella, caramel, brie cheese, and other options that may be a bit sinful, but they’re good for the soul. The original crepes start at $6.95 and it is $1 per topping. There are savory crepes with beef tenderloin, caramelized onions, mushrooms, goat cheese with a blueberry chipotle sauce. 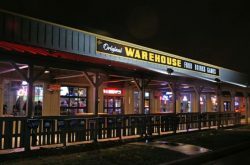 They’re served with a side of mixed greens with their house made maple balsamic vinaigrette for $13.75, or seafood options like the smoked salmon crepe or the seafood crepe with shrimp, bay scallops, mushrooms, sautéed with garlic, shallots, and white wine with a drizzle of mornay sauce for $13.75. You definitely cannot stop in to Break’n Eggs without at least sharing a sweet crepe, like the one with warm granny smith apples, maple syrup and whipped cream for $6.25; or the s’mores crepe with melted chocolate, marshmellow fluff and graham cracker crumbs, also for just $6.25. Absolutely delicious! Mes Que has a cozy ambiance, tasty food, and crafted cocktails. They have soup and salads, like the mesclun, bacon, dried cranberries, goat cheese, avocado and sherry vinaigrette for only $8. 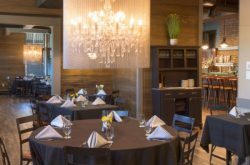 They also have excellent items to share like gourmet pizzas and small plates such as an assortment of cheeses and meats or the zinfandel braised beef short ribs with roasted vegetables and herb demi glaze, ranging from about $8-14. There cocktails are creative and refreshing for around $8. I can’t gush enough about them. Two of my favorites are the Luis Suarez which contains tequila, bell pepper, mezcal, rinse, lemon, and habanero bitters; and the La Vecchia Signora made up of gin, fresh squeezed lime, cucumber, and basil. Stop in with some friends and grab some small plates to share. Milo’s has some of the best Greek food I’ve had the pleasure of trying. Their dolmades (stuffed grape leaves) are fantastic appetizer to share; although, you might have trouble sharing them. The grape leaves are stuffed with Milos famous rice mixture, and served with a lemon cream sauce for only $6.99. The gyro and souvlaki (chicken or beef ) are served with tzatziki sauce and your choice of potato. This is a big plate for just $13.29. Milos also has, honestly, one of the best most creative desserts I’ve ever tasted- the Milos Baklava & Cinnamon Ice Cream Sundae with Fresh Whipped Cream. Made up of a decadent, sweet pastry made with layers of phyllo dough filled with chopped nuts, and sweetened with honey topped with creamy cinnamon ice cream for $5.99. Wow…just wow! Guy Fieri from Diners, Drive-Ins and Dives even had to stop into Grover’s to try their cheeseburger soup. In my opinion, Grover’s has the best burgers in WNY. The originals, like the bacon blue burger or regular cheeseburger, are fantastic, but they always have great specials on top of that. I loved their “Southern Bell” burger with bacon, cheese and an apricot horseradish glaze. They’ve had a burger that has 2 grilled cheese sandwiches as the buns. There’s even a breakfast themed burger with egg, ham, cheese and hash browns. Best of all these huge burgers are only $6-8! Be sure to stop in for a great quality burger and an ice cold beer. The first time I tried Amy’s (after hearing all the wonderful compliments from friends) was at the Food Truck Rodeo in Larkin’s Square. They have the same food in their food truck as the restaurant, so either one works. Their Falafel Sandwich was scrumptious – ground fava beans, chick peas, onions, cucumber, parsley, and spices rolled into patties and deep friends, then placed in a pita with lettuce, tomato, tahini & house dressing. $7.50 for a full portion and $5.25 for a mini. A real crowd pleaser is the Barb Special which consists of deep fried eggplant patties, tomatoes, french fries, and garlic spread wrapped into a pita for only $6.99. See what all the talk is about by visiting their location on main street or tracking down their food truck at Larkin Square Tuesday nights. Boston Hotel not only has fresh seafood, but you can’t beat their prices. You can get a dozen clams, raw or steamed, for only $3.99, and a dozen oysters for around $10! They’re delicious on their own, but they got me hooked on sprinkling a little celery salt, lemon juice, and hot sauce in the shell with the raw clam before devouring it; so delicious. They even have occasional specials where it’s even cheaper than that, if you can believe it. Also available at Boston Hotel are some delicious surf and turf options. You can pair a thick, juicy steak with just about any seafood you’d like. I went with the crab legs and they’re quite generous with the portions. For around $20 they serve you a mound of buttery crab legs, a tender steak and sides. The price is unbeatable, but the quality is what keeps me coming back for more. 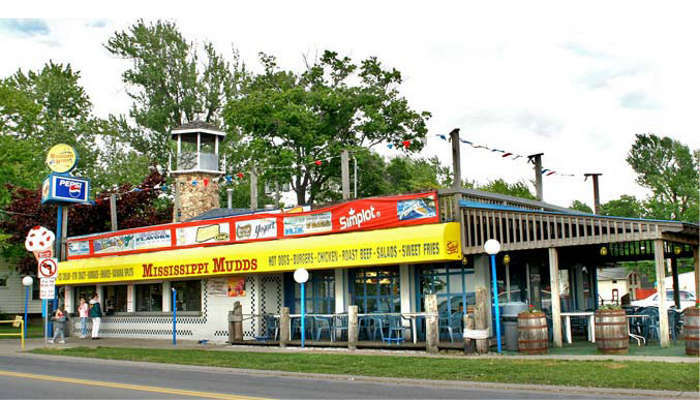 Mississippi Mudds is known in Buffalo for their beautiful location, char-broiled hot dogs, sweet potato fries, and WNY’s best chicken breast sandwich. Regardless of what you choose to order, you can’t beat that crispy, charred flavor you get from their grill. The Louisiana sweet potato fries are to die for, loaded with honey and butter. I love that you can eat outside on the roof of the building with a fantastic view of the river. When you’re done eating, you can head downstairs to hit up the ice cream stand, and take a walk by the water. Not only is everything affordable, but Mississippi Mudds offers a rewards card where they will send you coupons. It’s a great summer spot for the locals, and believe me, you haven’t lived until you try those sweet potato fries.